Mr. Media is recorded live before a studio audience of famous American cartoonists who could pass for gay… in the new new media capitol of the world… St. Petersburg, Florida! That’s one of the first impressions you get from reading through the newly collected strips in The Complete Wendel. It starts on the cover, Wendell beaming at his friends, eyes wide, mouth slightly open, bushy red hair drawing all attention to him. Wendel was a gay character in an era when Gay Americans were increasingly stepping out of the shadows, making their voices and politics known, and demanding a share of the equality other minorities sought before them. 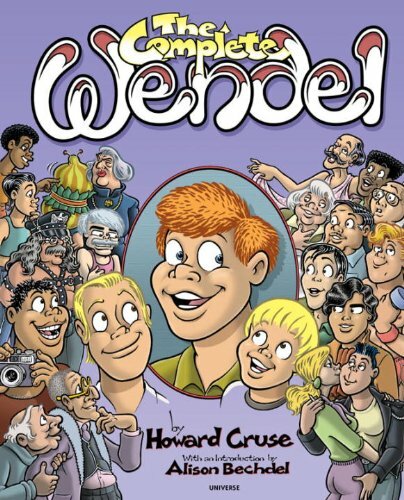 Order ‘The Complete Wendel’ by Howard Cruse by clicking on the book cover above! 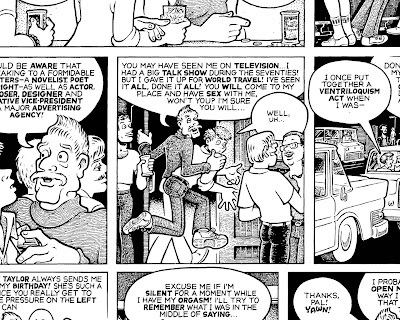 As time goes on, we see the almost Archie-like Wendel still have his goofy moments, but there is a genteel radicalization that gradually engulfs the strip, no doubt reflecting the times in which the strip was published. It will still appeal to modern gay readers, no doubt. 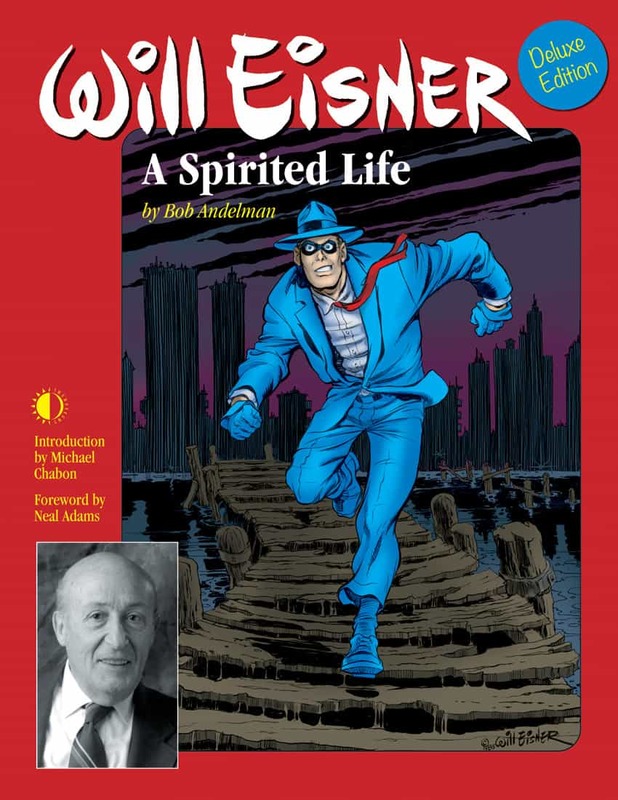 As for the artist, Howard Cruse – the founding editor of Gay Comix – he’s an old friend, someone I met through Will Eisner about eight years ago when the two of them were visiting artists at the Ringling College of Art and Design in Sarasota, Florida. You might also enjoy this 2012 video interview with cartoonist Howard Cruse!